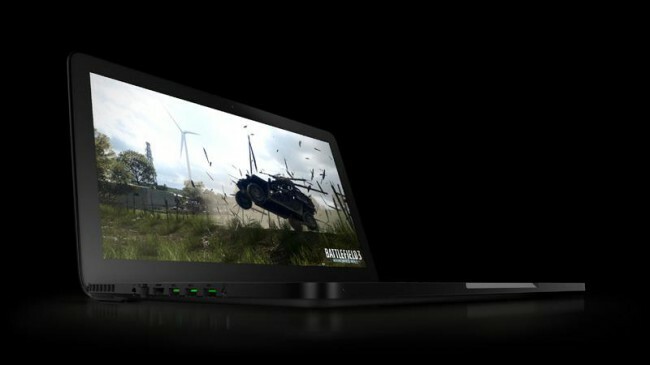 The fact that the further development of the line of unusual laptop Razer Blade is not questioned, especially after the first batches of devices were sold out within hours. New product was identical in appearance, but its filling endured a number of positive changes. 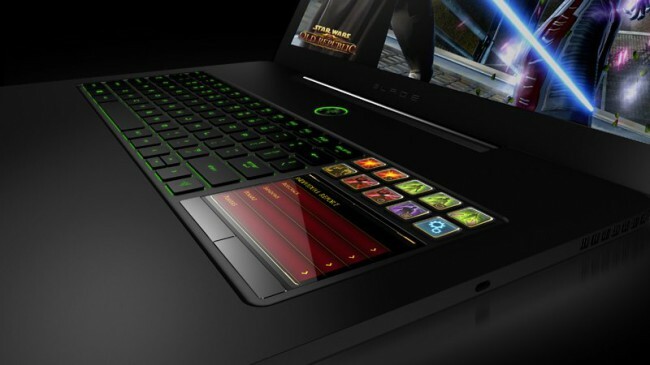 Recall that the Razer Blade stands out as a compact size, metal housing and low weight (about 3 kg for a 17-inch laptop – is a good indicator) and an unusual keyboard with built-in game pad Switchblade. It consists of a color touch screen that can act as a touch pad, as well as additional game interface, and of the ten keys, each of which has its own LCD screen. ● Processor: Intel third-generation Core i7. ● Video card: NVIDIA GeForce GTX 660M with NVIDIA Optimus technology and 2GB of GDDR5 memory. ● RAM: 8 GB of RAM DDR3 1600 MHz. ● Display: 17-inch LCD display with LED backlight and a resolution of 1920 × 1080 pixels. ● Webcam: Yes, Built-in HD-webcam. ● Battery: The battery capacity of 60 watt-hours. ● Harddrive: 500 GB HDD (7200 rpm / min), complete with 64-GB SATA III SSD with software NVELO Dataplex. ● WLAN: Wi-Fi adapter 802.11n and Bluetooth 4.0. ● Dimensions – 426 x 276 x22 mm, weight – 2.9 kg. Thus, the predecessor Razer Blade has a more powerful processor, graphics card and slightly modified the disk subsystem (originally used only SSD, although initially designed HDD). The cost of new Razer Blade Laptop second generation items is lower than the original and is $ 2500. In the sale of the U.S. unit will come on September 30.